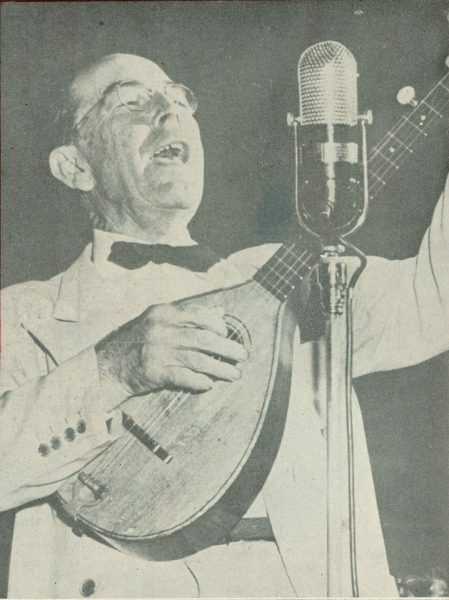 Bascom Lamar Lunsford (March 21, 1882 — September 4, 1973) was a musician and folklorist who dedicated his life to collecting and promoting the music of Southern Appalachia. 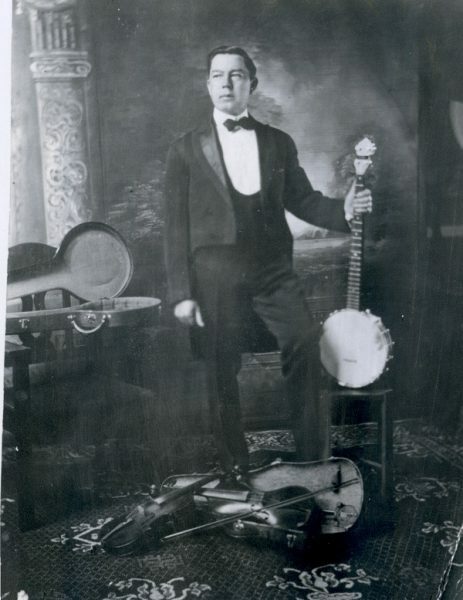 Through his work he came to be known as the “Minstrel of the Appalachians.” He worked long and hard to preserve the cultural heritage of the southern mountains at a time when many were moving from the region, and others were seeking to change it. Highlights of his career included a White House command performance for Franklin D. Roosevelt, a performance before King George VI and Queen Elizabeth of England, and recording his “memory collection” of some 320 songs, tunes, and stories for Columbia University in 1935 and the Library of Congress in 1949. These collections, plus some other material, make the Lunsford collection at the Library of Congress the largest contribution by a single performer. Bascom Lamar Lunsford maintained close contact with Mars Hill College (where he was born), now Mars Hill University, and donated many of his manuscripts, recordings, and instruments to the school. Of all the festivals he founded, this is the only one he allowed to carry his name. In 1967, Lunsford and Mars Hill pharmacist Ed Howard collaborated to create a festival that would differ from the other festivals in the area. This festival would be a celebration of the music, dance, and crafts of the people, as well as a time of preservation. Instead of trophies, old songs would be passed to new singers; instead of competition, old techniques would be learned by new players. It would be a time of appreciation of the lifestyle that had carried the early settlers through the hard times. Throughout the 50 years of the festival, the emphasis has been on celebrating traditional music and dance, shaped by both the beauty and the harshness of the land. Lunsford, the “Minstrel of the Appalachians,” was the midwife for the rebirth of mountain culture. Part of his legacy is the preservation of perpetuation of the pride in the region’s music and culture. Photo courtesy of the Southern Appalachian Archives, Mars Hill University.